It’s wedding season and we have been scouring thousands of great Pinterest ideas to help you wow your wedding guests and make your day super special. Are you getting married in 2018? If yes, then this article is for you! We have curated our 5 top wedding trends that will help you make your special day perfect! Be prepared to want to do them all! We have all been to a wedding with a big, white marque tent with heavy plastic sides, it is nice but can get super-hot, it is hard to put up, and is not customizable to your wedding colors or feel. Stretch tents are and they can be designed just for you! They are a great way to prep your outdoor wedding for any weather. Since they are designed for you, you could be having an intimate gathering or a wedding as big as the royal wedding and still be able to have a tent the size you need. They can be ordered to your specifications, the color options are pretty much unlimited, plus they create such a great silhouette to take pictures against day or night. Inside the LED lighting that comes with the tent will help make sure your pictures turn out bright and crisp, and give guests a magical feel as they dance the night away on the dance floor, which is also included! 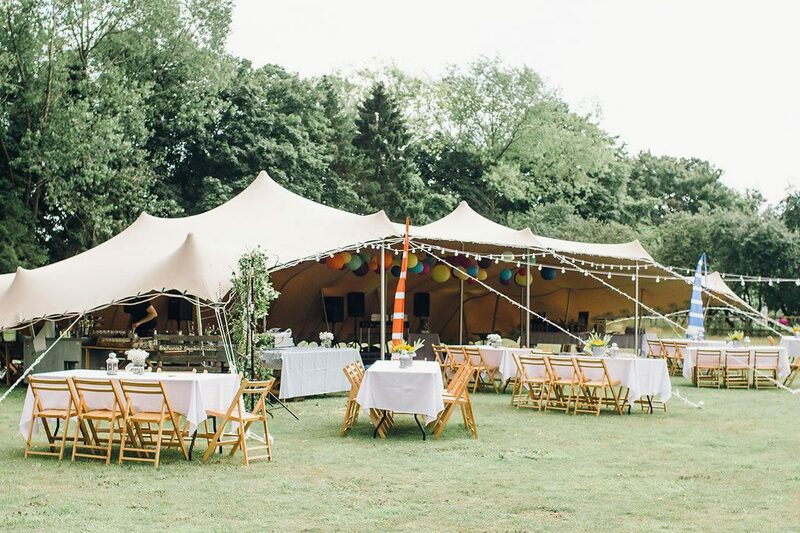 So, if you are worried about it being super sunny or ridiculously rainy during your outdoor wedding, worry not, because hiring a stretch tent is a jaw dropping way to be prepared for both. While we are talking wedding details we need to cover lighting, as one of the biggest forgotten it often times gets overlooked even though it is the single most important area! It will set the mood, notto mention, make sure you get stunning pictures you can look back on for years to come! Hanging Lights from the ceiling. You can customize the light bulbs to the color and wattage you are looking for. These are great for outdoor, because they give off a bit more light for when it gets dark out without losing the fairytale feel. Paper bags with small candles inside. The color of the paper bags iscustomizable, so you keep with your wedding colors and the candles inside can be either flame or battery operated. Trees wrapped in lights. These make great photo backgrounds and really accent the outdoor nature of your wedding, giving off an enchanted forest vibe. Floating votive lights. Take any color glass bowl or vase, fill it up halfway with water and then add a slow burning candle to it, it should float and will give off a soft romantic light. Hanging chandeliers. Not all venues havethese but they can be rented and plugged in if you have a high ceiling in your venue. Windows with Hanging Lights. For venues with windows they create great natural light, which we all know, but keep utilizing them even after it gets dark with hanging lights, that only turn on only after it gets dark. If you are set on having a unique and memorable wedding, a theme might be the way to go! They make a fun decorating, plus it will be notable for your guest to get dressed up and attend. No matter what theme you choose be sure to include it in your invitations and incorporate into every part of your ceremony and reception. 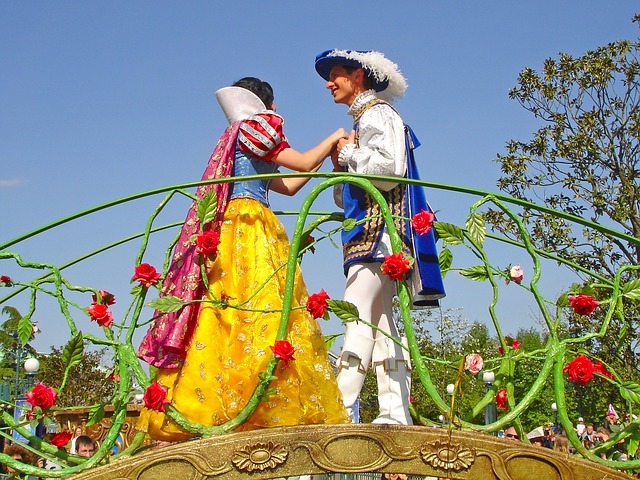 Ask guest to get dressed up, have a themed meal, themed music and even a themed picture booth. If you don’t know where to start picking a theme, try answering some of these basic questions and see if something great comes to mind! Do you like a rustic or outdoorsy feel? Do you like the vintage or glamour look? Are you and your partner nerdy or both really enjoy the same book or movie? Where did you guys meet, what is one main thing you two have in common? Where was your first vacay together? Do you want guests to get dressed up or just where everyday clothes? Turn the normal floral arrangement upside down, literally. You need flowers for pretty much everything in your wedding, your bouquet, boutonnieres, center pieces, even for the ceremony aisle. Hanging floral arrangements are especially a great idea if you have other decorations you want on your tables and throughout your venue. It will keep your space from feeling cluttered, and make your wedding stand out to your guest, because who else has ever done flowers hanging from the ceiling over a table?! Ask your florist what they can do with the flowers you would like and the space you have. If you are getting married between the months of May and October outdoor weddings are all the rage and a really great way to save money. You can get married in a state park, garden, beach, forest or even the ground of your reception venue, if possible. You can rent a stretch tent to create your own reception venue and your decorations are literally open to your imagination. 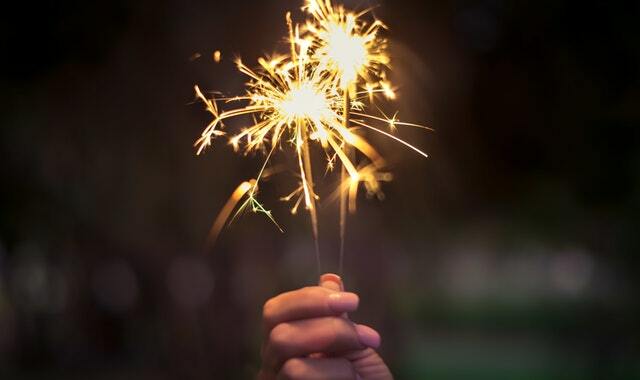 Have light up signage, sparklers or even a camp fire. How about natural décor like pinecones, flowers and greens, that will fit well with an outdoor wedding. Make sure where ever you decide to have your ceremony and reception, you plan for both sunny and rainy weather, it is big enough to fit the number you are inviting to your wedding and you have permission to host a party there. Go ahead! Hop on Pinterest, we know you already have, and start pinning ideas you like. 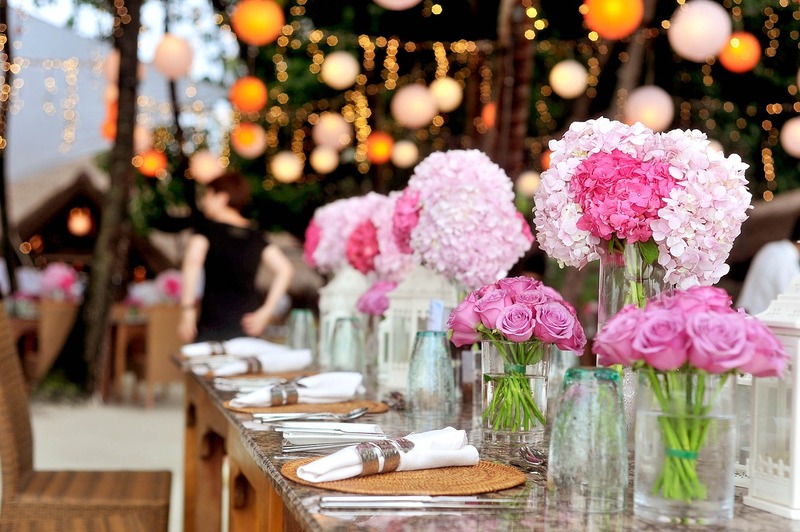 We hope that these 5 jaw dropping wedding trends give you some great ideas. 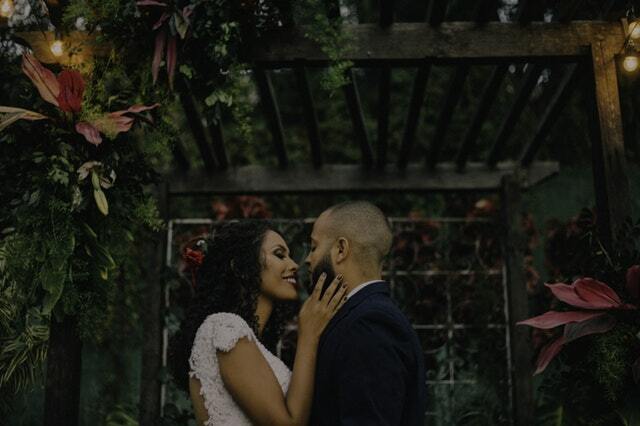 Remember your wedding is really about the memories and the person you are marrying, so throughout all the ideas and planning make sure to come back to your love, a great center for all your themes and decorations.